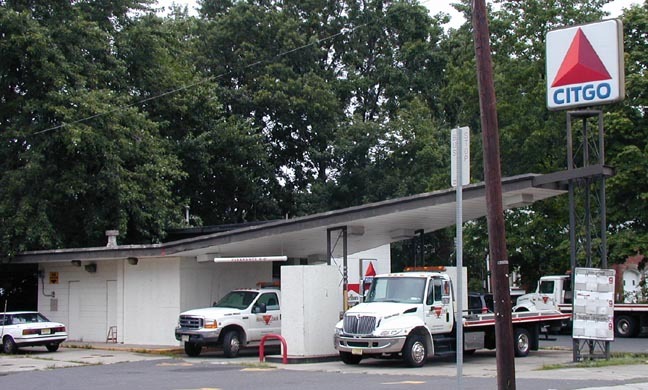 This former Phillips 66 in Lodi was being used for truck parking in 2003 when this photo was taken. 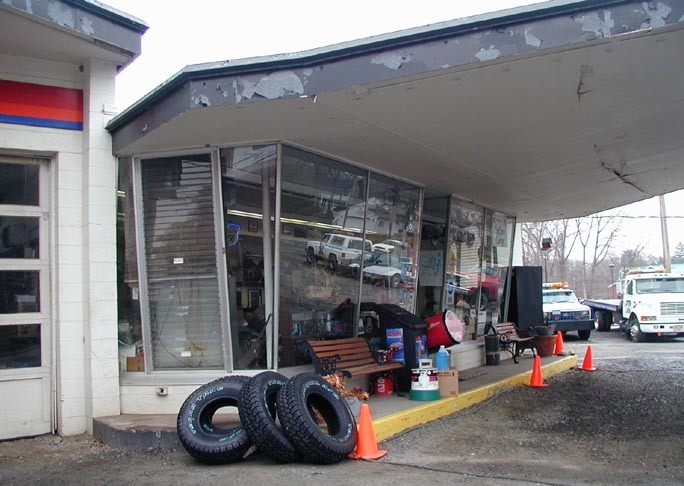 In 2006, the building was demolished and replaced with a Valero gas station. 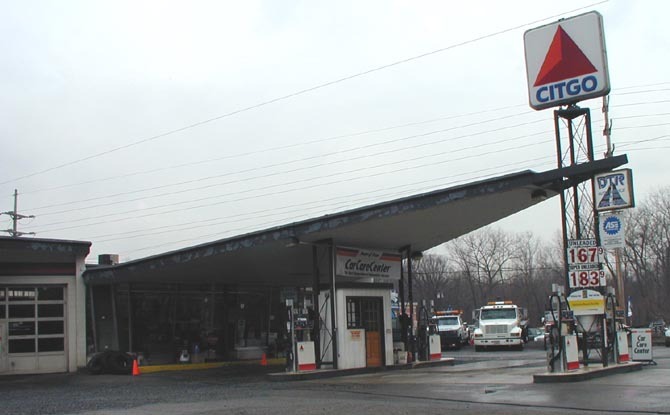 This former Phillips 66 in Denville has been drastically remodeled and the canopy has been removed since this photo was taken in 2003. This former station was probably from the 1960s. I don't know what brand of gas was sold here originally. The building was vacant when this photo was taken in 2012. It was still vacant in 2015 and then demolished in 2016. Hess developed this building style in 1962. There were other stations like this in Florida and Georgia but I don't believe any are left there. In 2015, all Hess stations were rebranded as Speedway station. I believe all of the operating stations signs have been replaced. 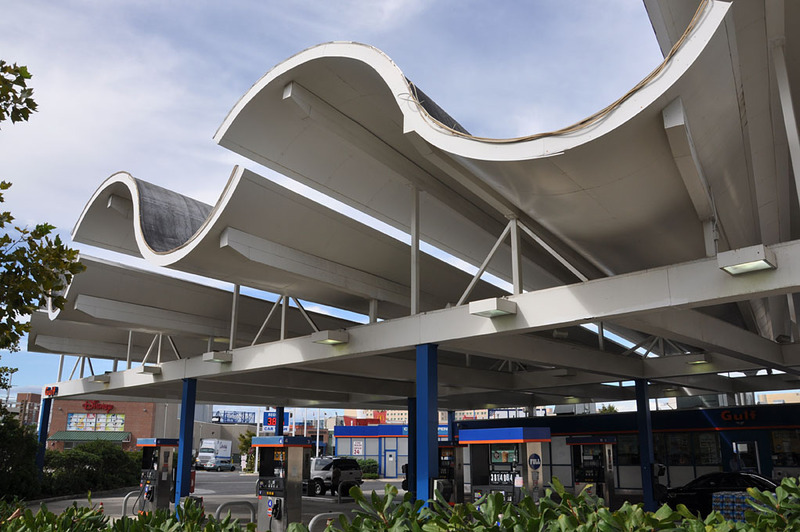 This photo of the Hess station in Rockaway was taken in 2012. 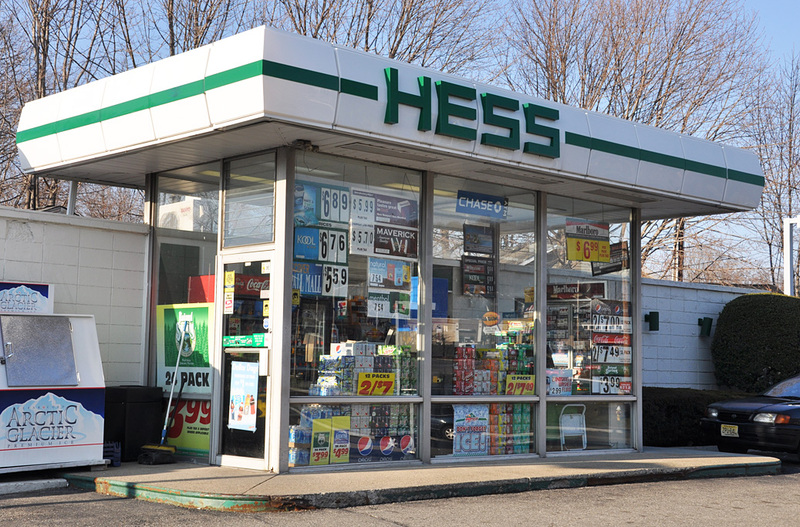 In 2013, the building was demolished and replaced with a larger Hess Express store.